Human Resource or Human Resource Management is also commonly known by its abbreviated forms of HR and HRM respectively. Human Resource can both be defined as a type of department and a strategic approach that organizations can employ to effectively manage the employees who might be working in the organization. The major aim of this department or strategy is to help the business in gaining an advantage over other businesses which might also exist in the same market. There are also a number of other responsibilities that any effective human resource department would have to fulfill. On the other hand, industrial relations is also known as employment relations. This is a type of multidisciplinary academic field in which the focus of the student is on the task of studying employee relations. This field also provides the students with an excellent opportunity of studying about the relationship that exists between the state and the employer organization, the employees and the employer, trade unions, and labor. It is important for readers to know that the term employment relation is more popular than the term industrial relations. This is simply because of the fact that the term employment relation is broader in its approach than industrial relations. As it was mentioned above, there are a number of issues in both of these fields. In this essay writing piece, readers will be able to understand all the issues which individuals have to face in these fields. As it was mentioned above, there are a number of issues and problems that individuals have to face who are working in the Human Resource department. And some of those different problems are mentioned below. 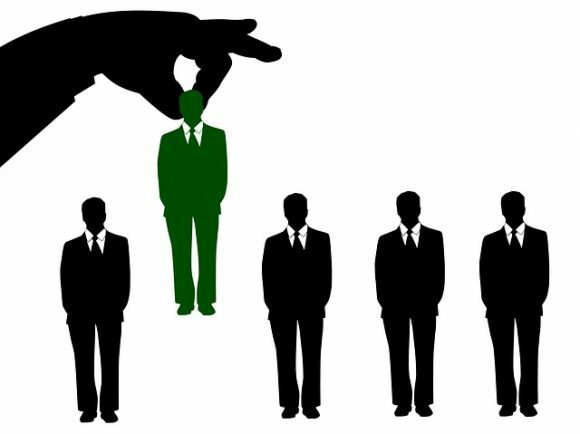 It is commonly believed that the most important task for any human resource department is to recruit the best talent for the company. And while that task is certainly important but there is also another task which is of extreme importance. And that task is of retention of the employees. This is the age of globalization and this has enabled individuals to be in contact with more opportunities than ever. This has created a number of difficulties for the human resource department in trying to retain their employees. Employees are the backbone of every organization. And that is why it is important for the human resource department to recruit only the best and the most talented individuals for their organization. This would ensure that the company continues to prosper and move ahead. It is important for the human resource department to continuously work on the task of improving the productivity level of the organization. There are a number of strategies and techniques which the human resource department can employ to improve the productivity of the organization. It is important for the human resource department to work on the skills of the employees. There is often a learning curve that comes with every single job. And that learning curve is also known as the training. It is vital for the human resource department to guide every single employee through that learning curve. There are also a number of issues and problems that individuals have to face or work through who are working in the department of industrial relations. And some of those problems which are faced by individuals in this department are mentioned below. The issue of privacy is the biggest problem that individuals working in employment relations have to face. Employers almost always forget the right of privacy which should be granted to all their employees. And while this is often not a problem but there can also be scenarios where this entire issue can be blown out of proportion. Sometimes employees can also feel as if their every move is being tracked. Employees often consider the employer as the ‘other’. This can cause a significant divide between the employees and the employer of the company. And even though this is a natural reaction but it can still cause a number of problems like the problem in contract negotiation, strikes, and other problems. According to research, there is a significant gap in the wages which are paid to men and wages which are paid to women. There are also some steps which are taken to bridge that gap but there are still a number of companies where this fact can cause problems. These problems can also accelerate in companies which are male-dominated. There are a number of common issues which are faced by individuals who are working in both the fields of human resource and employment relations. There are also many ways and methods that individuals or companies can take up to solve all these issues. And some of those different ways to manage those common problems are mentioned below. Both the fields of employment relations and human resource face issues which are related to the retention and hiring of the employees in one way or the other. These issues can be dealt with in a successful manner by introducing a union environment in the company. This would help the employees in having a support system on which they can rely on when the right time comes. In a company or an organization, there are a number of problems which can commonly arise. These issues are often dealt with the human resource department as soon as those problems arise. But if such problems accelerate then the employees can file grievances. These grievances can then be dealt with specialized departments who would not just focus on the interest of the company but will also focus on the interest of the employees. This would allow the employees to have a sense of autonomy in an environment where the employees are constantly monitored. Companies and organizations often set out the terms which are related to the wages, working conditions, and benefits. There can be instances where the employees might not agree with these terms. In such cases, the employees might set up a bargaining unit within the company. This would help the employees in having a say with how the terms are set and what terms are set. It is important to remember that problems often arise in companies and organizations. However, it is important for the company or the organization to provide the right kind of support to all the employees so that employees continue to be the loyal members of that company or organization. Human Resource Management is also known as the Human Resource department. This department is also commonly known by its abbreviated form of HR or HRM. There are a number of problems that individuals could have to face if they are a part of this department. And some of those problems include retaining employees, hiring new talent, improving productivity, providing training, and many other problems. On the other hand, industrial relations is also known as employment relations. This department is also known as employment relation. The focus of this field is to study the relationship that exists between the employee and the employer, the trade unions and labor, and the employee organization and the state. There are some common problems which exist between both of these fields. But there are also different methods which can be employed to deal with those problems.